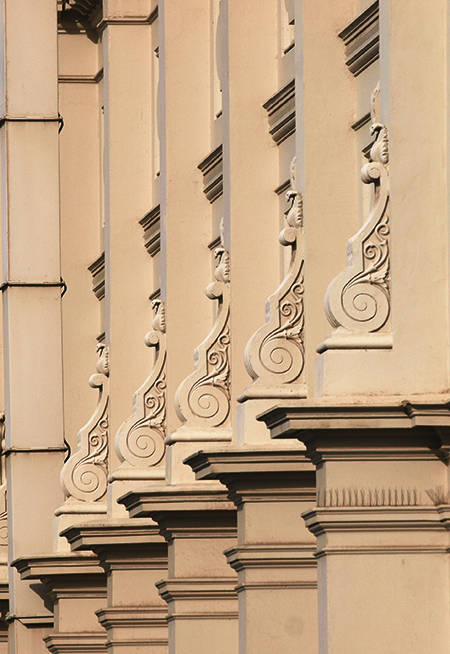 Some of the detail on the Royal Exhibition Building in Melbourne, Australia. I recently returned from a 15 day trip to the state of Victoria in Australia. Wonderful people, food and scenery marked this adventure. The next few blog posts will describe some of the different parts of the journey. Today-Melbourne. I have a very difficult time explaining my job to friends and family–and even co-workers. Suffice it to say that I organize things. I also need to know who knows what, so that when someone needs to know it, I know who knows. Anyway, imagine my surprise when I was contacted by some very good people in the state of Victoria in Australia to come over and teach about my job. Thanks to them, I can call myself a “knowledge broker”. Maybe I should ask for a raise…. 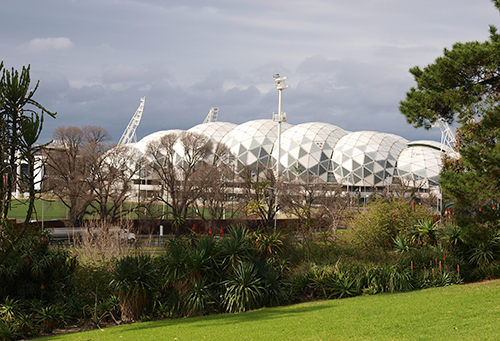 Melbourne’s AAMI Park (rugby stadium) as viewed from the Royal Botanic Gardens. After 30+ hours of travel, I arrived in Melbourne on Saturday morning, August 3rd. August is winter in the Southern Hemisphere, but very manageable as the high temperatures were in the 50’s and low 60’s during the day (rather similar to the summer temperatures in my June visit to Ireland). I was able to get acclimated to a 15 hour switch in time zones in time for Sunday evening meetings with my gracious hosts. 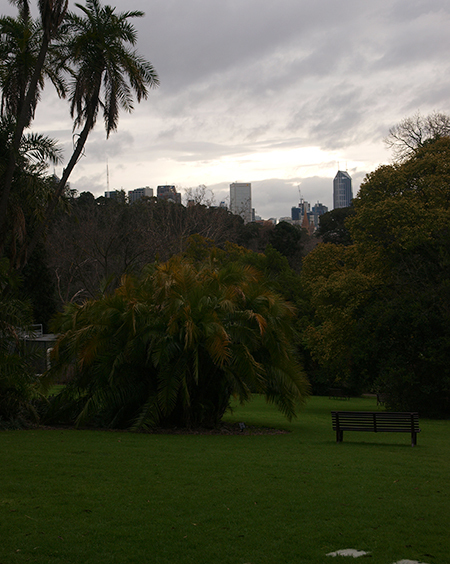 A portion of the Melbourne skyline peeking through the trees at the Royal Botanic Gardens. 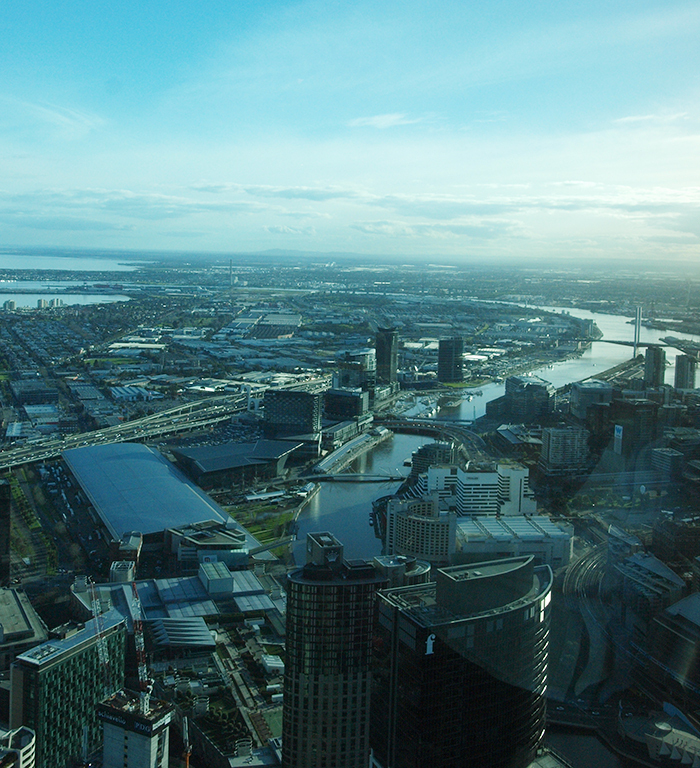 My first impressions of Melbourne…. Australia is very similar to the United States in terms of timeline or “history”. Both countries have an indigenous population that was displaced by European settlers in the late 18th through late 19th century. Both seemed to treat the native populations very badly and have experienced an awakening in terms of appreciation of those cultures. (My cynical nature tends to equate that ‘awakening’ with the potential tourist dollars associated with the interesting aspects of native cultures). 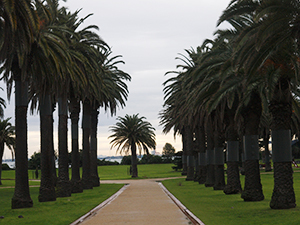 Palm trees at the St. Kilda beach area. Australia is at least as multicultural as the U.S. despite our penchant for calling ourselves the “melting pot” of the world. I noticed a much larger Asian influx in Australia than I have seen in the U.S. However, there is a much greater Hispanic influx in the U.S. than Australia. I guess the old adage, location, location, location holds true. Future posts will show some of the irrigation infrastructure and farming and other cities/towns in Victoria. A view from the Skydeck. In the upper left you see Port Phillip Bay. I believe it is the Yarra River snaking its way through Melbourne on its way to the bay.